Ostrom, a long-time political scientist at Indiana University, is a tremendously warm and generous-spirited person, so it was not her personality that gave me pause. It’s that she has spent several decades studying how real-life commons work, especially in managing natural resources. From Nepal to Switzerland and from Turkey to Los Angeles, Ostrom has done painstaking field work and attended scores of conferences to probe the inner dynamics of commons. She knows a few things. Now Professor Ostrom has won the Nobel Prize for Economics, the first woman to be so honored. It is a well-deserved recognition. Professor Ostrom holds a special place in the history of the commons because she has done so much to make it visible in our time — first to academics, and then to many policymakers and now to the general public. Most of Ostrom’s work has focused on the governance of common-pool resources — resources that are "rivalrous," as economists like to put it. They are finite and can be used up. The prevailing wisdom among economists is that shared resources — forests, fisheries, irrigation waters — will be usually be over-exploited and ruined. This belief had its modern-day origins in a famous 1968 essay in the journal Science by ecologist Garrett Hardin. He told a simple parable about a shared pasture that anyone can use -- an openness that invariably results in the over-use and destruction of the pasture. The idea, which Hardin dubbed the "tragedy of the commons," soon ripened into a cultural truism: a commons will invariably be ruined. It is not a sustainable model of managing resources. 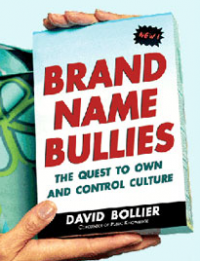 Political conservatives and economists soon seized the term as an all-purpose metaphor that helped them denigrate collectively managed property and government. Only private property and the "free market" can responsibly manage resources, they argued, because the commons will always end in "tragedy." Elinor Ostrom was one of the first serious scholars to debunk the pernicious "tragedy" narrative. She did it the old-fashioned way -- with empirical research. Based on her upbringing in Los Angeles, where she saw local authorities cooperate to preserve endangered groundwater supplies, Ostrom dared to think that the commons could actually be a stable, productive form of resource management. 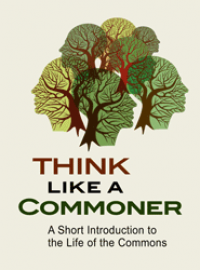 Ostrom’s scholarship over the past three decades has demonstrated that self-organized communities of "commoners" are quite capable of managing finite natural resources without destroying them. The problem with the "tragedy" narrative, Ostrom realized, is that it does not describe the actualities of real commons. Functioning commons have boundaries that limit access, social rules, and punishment for "free riders." In 1973, Ostrom co-founded The Workshop in Political Theory and Public Policy at Indiana University with her husband to host cross-disciplinary studies of "common pool resources." She and her colleagues have investigated scores of examples — police departments managing their limited manpower and equipment; tribes in the developing world managing limited supplies of water, forests and wildlife; academic communities managing their knowledge as a commons. 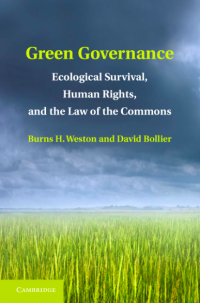 While Ostrom recognizes that human communities can and do over-exploit limited natural resources, she is adamant that the commons is a viable schema for managing them sustainably. Over the past generation, scholars at the Workshop have produced hundreds of studies about the socio-ecological models that successfully manage forests, fisheries, irrigation water, urban parks, and much else. 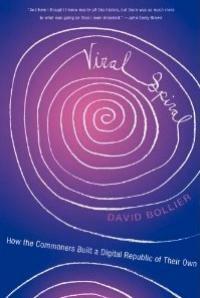 Ostrom’s landmark book was Governing the Commons: The Evolution of Institutions for Collective Action, published in 1990. 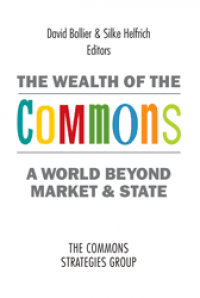 The book showed that there is a third path between market control and government mandates — common-pool management, generally known today as the commons. Ostrom’s richly empirical and analytic book helped inaugurate a new branch of scholarship about this neglected realm. 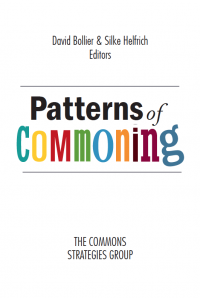 Ostrom also helped start the Digital Library on the Commons, an unmatched collection of books, monographs and other materials on the commons. Ostrom remains an active scholar and speaker, and in 2006 became the Founding Director of the Center for the Study of Institutional Diversity at Arizona State University, in Tempe. Professor Ostrom’s appearance at the "Reclaiming the Commons" community forum in Bloomington was just another case of her generous outreach to people. She had helped the event’s organizers in their planning and then served as moderator of a panel of activists who spoke about cooperatives, the dangers of coal power and the importance of permaculture. I finished my presentation, and later saw Professor Ostrom ten yards away, down the hallway of the church. She flashed me a big smile and a "thumbs up." What a relief! Two days later, I learned that she had won the Nobel Prize for Economics.